Now that I've been using my Start Planner for a while (since the beginning of July), I've decided I really like it. 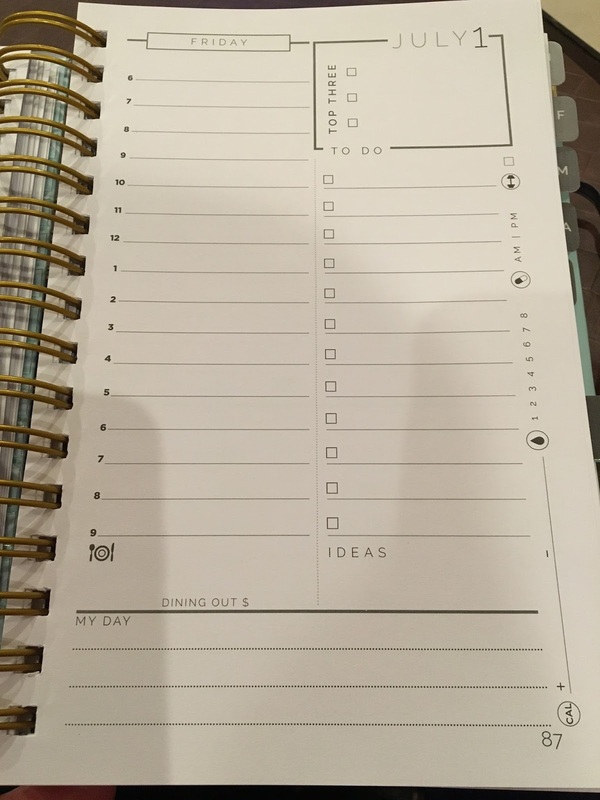 It's a daily planner with hourly breakdowns as well as nearly half a page for the To Do List. I don't make as much use of this space as I could/should, but I like that I have it. 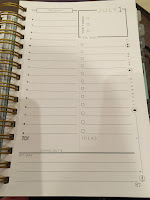 Another thing I like is near the bottom of the page, there's room to menu plan by listing each day's dinner on that day. There's also an idea box, but I use that to record how long I worked out and how many miles I did. And at the very bottom of each page is a 3-line section titled "My Day" where I can record thoughts. I wish I had a few more lines here because it really isn't enough to really talk about anything in depth, but it's good for quick jottings. There are a few things that I still don't like. Saturday and Sunday are on one page, all scrunched up with nearly a half page for a grocery list. 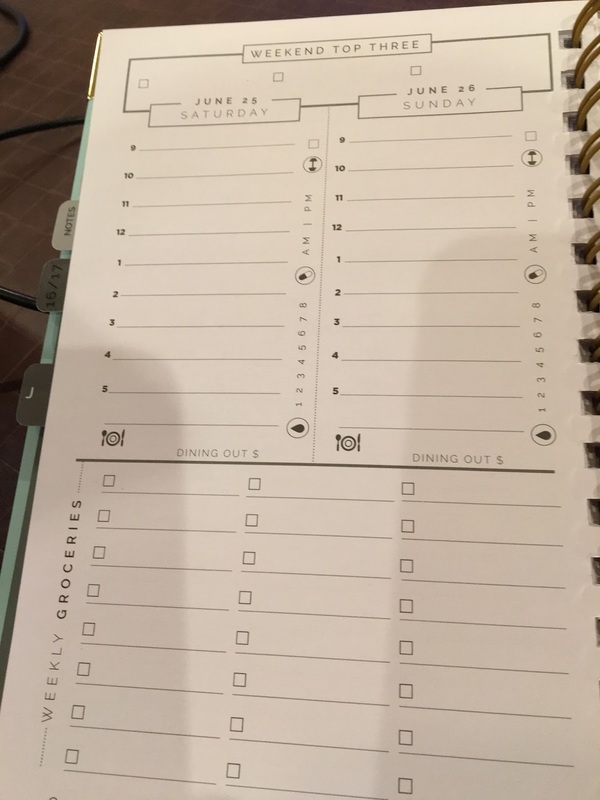 At first I thought, well, maybe I'd use it to remember what to add to my electronic list, but quite frankly, I never use the grocery lists in the book and there are monthly lists as well as the weekly ones. I really need that lost space. Desperately. Since I don't use the planner at my day job, my weekdays are very light on items. The weekends are when I do my home things and there are lots of them! I'm way too compressed here. Other features I thought I'd use more and don't also include the financial section. I have a spreadsheet that I use for budgeting, and while I thought it might be nice to have everything available on hard copy, it turned out to just be redundant. I'm sure if I didn't have my budgeting spreadsheet, I'd use it more, but I do, so yeah. The Projects section. I thought I might use that for my writing, but there isn't enough room for it and (again) I have a spreadsheet I use to track word count and such. It's a nice idea, but I haven't figured out anything else to use it for yet. I do really like the Goals section and I have referred back to that on several occasions to keep myself on track. 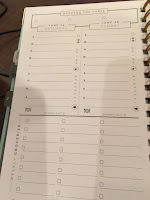 I wish the monthly goals sections were larger. There's not much room there. The other thing I've discovered I really like is the top three is built in to each page. That's actually handy and I like having the focus without having to create that space myself. Overall, I'm happy. 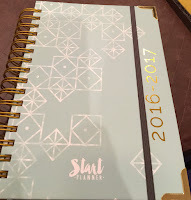 That doesn't mean I'm not tempted to try other planners--there's always that chance that the absolute perfect on is out there if only I could find it--but I probably will buy another Start Planner, and considering the price, that's saying a lot.